Canada are in pole position at the six-team tournament in Namibia. Canada finished day two of the ICC World Cricket League Division 2 on top of the table after defeating the United Arab Emirates by 23 runs, as the battle for the top two spots for the ICC Cricket World Cup Qualifier in Namibia intensified. 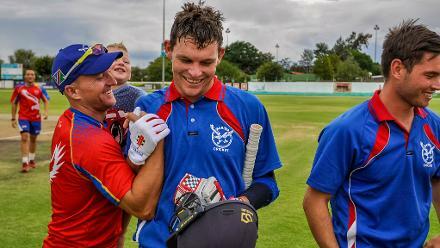 In the other day matches, Oman bounced back with a six wicket victory over Nepal as Namibia and Kenya’s match was abandoned due to a wet outfield. Canada put on a promising second day performance scoring 209 in 49.2 overs and finished the day on top of the table after the second round of games. 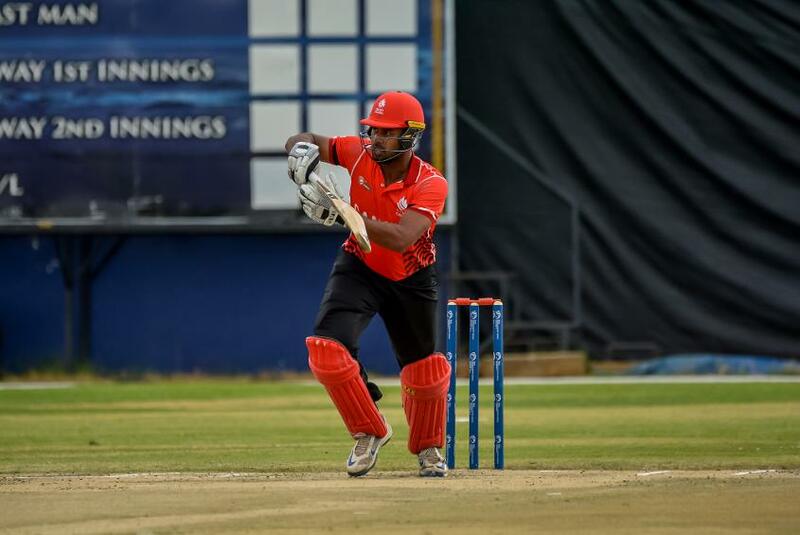 Nitish Kumar the standout performer for Canada scored 62 runs from 93 balls. Dhanuka Pathirana added 36 runs from 43 balls which took Canada took 209 runs. The UAE captain Rohan Mustafa took an impressive five for 34 runs from ten overs. The UAE started off promisingly with Rohan Mustafa (37), Ashfaq Ahmed (42) and top scorer of the innings Ghulam Shabber (55) getting off to a flying start. With the team at 102-4 in a strong position, the Canadian bowlers soon started taking wickets with Satsimranjit Dhindsa (2-53), Nikhil Dutta (2-21), Ruvinda Gunasekera (2-29) and Nitish Kumar (2-11) sharing the wickets. UAE soon fell to 186 all out as Canada won by 23 runs and secured their position at the top of the table. Oman bounced back on day two with a six wicket victory over Nepal. Nepal batting first was overwhelmed by the Oman bowlers scoring 138 runs all out in 46 overs. Top scorers Sharad Vesawkar (22) and Dipendra Airee (20) were the stand out batsmen for Nepal. Oman bowler Kaleemullah took four wickets for 28 runs and led Oman to victory and their first win of the tournament. With a low total to chase Oman’s Aqib Ilyas scoring 46 runs from 53 balls and Vaibhav Wategaonkar 37 runs not out put the Asian team in poll position. Scoring 139 in 35.1 overs Oman secured a six wicket victory. The stand out bowler for Nepal was once again Sandeep Lamichhane taking two wickets for 29 runs, but it wasn’t enough as Nepal suffered defeat. Match abandoned due to wet outfield, the match will be played on 10 February.